Our main service is transportation of Pi-water across Prague and neighborhood. Delivery days are Monday and Tuesday, but it depends on location where You want to deliver it. Our complete delivery service consist of information sms, that we will be doing a delivery. After making a order, We will contact You via sms (one day before) with approximately time of delivery. If time is not right for You, please contact me on this number: 775 264 029. 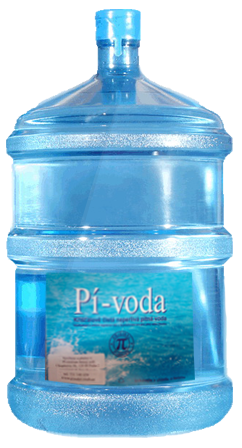 1 liter of Pi-water cost 8Kč (Czech crowns). We are delivering barrel of water, which looks like the picture on the right side of this page. Barrel could be used on watercoolers (aquamatt) or with special pump. Jerrycan has 17 liter of capacity. (It is necessary pay cash advance – 150Kč per jerrycan.) Jerry can could be used with special tap (price 175kč). Also We can make a deal of delivery jerrycan with 5 liter capacity (minimal quantity is four).